For any emergency, please contact us directly at 6836 5167 or the Mount Elizabeth A&E department at 6731 2218. For other inquiry, please fill up the form below & our patient care specialist will get back to you as soon as possible. Exit at the Orchard MRT. Walk towards Lucky Plaza. Buses on Orchard Road (Tangs and Lucky Plaza bus stops) are: 7, 14, 16, 36, 65, 111, 123, 124, 143, 162, 174, 502 and 518. Walk towards Lucky Plaza. There is a taxi stand right outside the Mount Elizabeth Medical Centre. 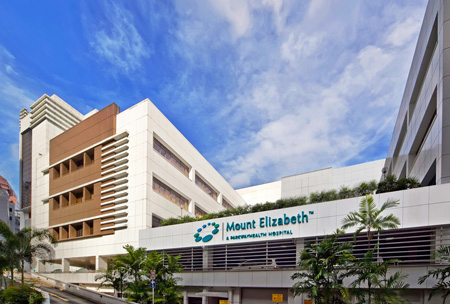 Mount Elizabeth Medical Centre has been serving Asia Pacific for over 30 years as a leading medical hub, earning the trust of patients from all over the region with its strategic pairing of exceptional medical talents with advanced technology. Staffed by a large team of dedicated professionals and a diverse mix of highly skilled specialists, the hospital has received the renowned Joint Commission International (JCI) accreditation of quality care.